Hi Lovelies! 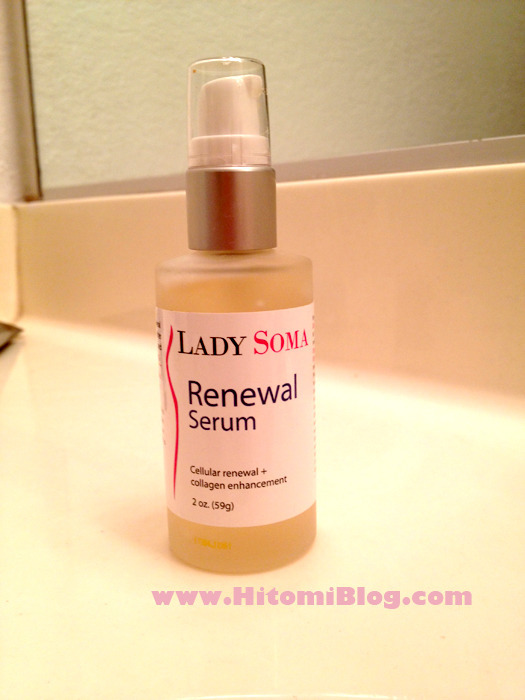 Lady Soma reached out to me to do a review on this serum product. I thought I would give it a try since I do love my skin and wants to give the best of it. Honestly, I would not accept to review any product, especially when it comes to skin care. For one, I only do sincere reviews, so if a product already have loads of bad reviews, I would be hesitant to become another fail tester. For two, if it cost me break outs, it really wouldn’t be worth it for me! Since my break outs seems to always stick around for a long time. The thing on the road of having great skin is that there is going to be hit and misses. Not everyone will have a same result with the same product, but I do firmly believe that reviews helps. I personally ALWAYS check out reviews before I make a purchase. It’s only fair that you do yourself some research before forking out that hard earn money of yours for this product! Lady Soma was really quick and speedy in getting this product to me. The packaging is average, which just means they're not trying to sell you the product base on the packaging. I do like the glass bottle, gives it more expensive feeling and look. Additionally, the cap & pump make it more sanitary. 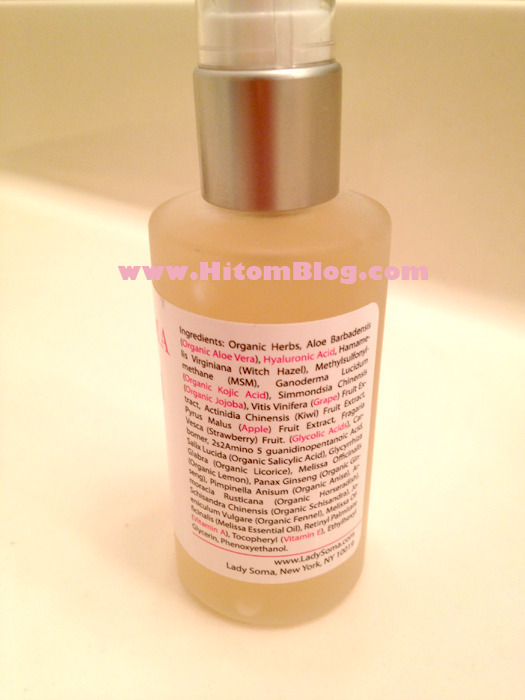 Serum is a skin care product that is meant to be absorb into your skin. The best way to do that is apply while your skin is cleaned. Either before makeup in the morning or evening after face wash.
"The Renewal Serum penetrates deep into the dermal layer of the skin to repair damaged skin. The serum stimulates the development of new skin cells with the power of Hyaluronic Acid & Vitamin A. The formula diminishes the appearances of lines, minor scars, age spots, and sun damage for fresh looking skin. It may be used as a skin brightener to restore complexion and enable an even skin tone." As you can see, it is filled with organic products, no harmful chemical ingredients! I applied this serum on to my face in circular motion, day and night for approximately 2 weeks. I did not have break outs from this product, the texture is lightweight but not too watery. When I applied, it gets absorbed into the skin and does not leave a sticky feeling afterwards. This is a fairly good product, since it's light enough for my combination oily skin which is rare for my skin. It is difficult to see dramatic changes on your skin with a serum, because what it does is to maintain your skin at a healthy level. Therefore, unless your skin is in a really bad situation, you may not see a big difference in a short amount of time, but you will see your healthy skin being maintained. I plan to continue to use this product until it is finished. I will probably give you an updated review once I am able to use it for a longer period of time. 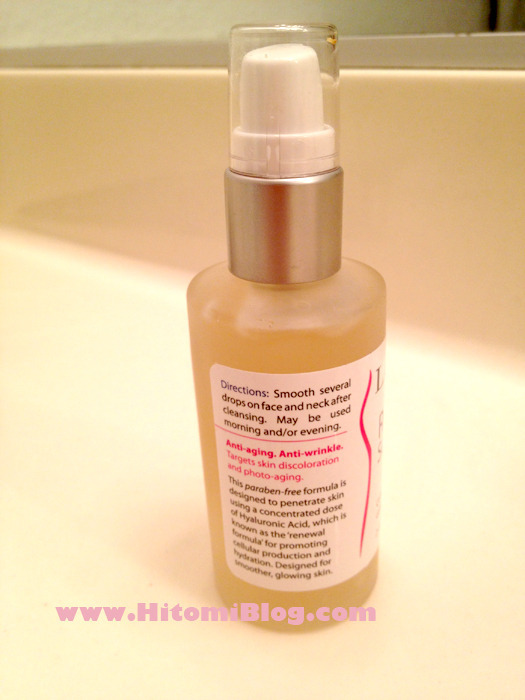 I will also update you in this post on a more clear sample on applying the product. I took pictures but did not realize they were in smaller resolution. This product is made in USA, as a member of Organic trade association. Let me know what you think and if you ever thought about trying out this product! What serum are you using right now? Do you often try new skin care products! Do you plan to check out this product?